Condition: very good. Played a few times. 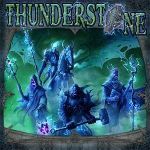 Comments: Base game, expansions, and promos all in Thunderstone: Dragonspire box. Boxes for Wrath of the Elements, Doomgate Legion, Heart of Doom, and Thornwood Seige available on request. No box available for the base game. 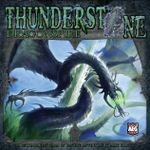 All rules manuals included except original Thunderstone has printed copy of the rules book.